From a small workshop in Surrey, Rosie, Luthier and Founder, carefully handcrafts beautiful guitars from the heart. 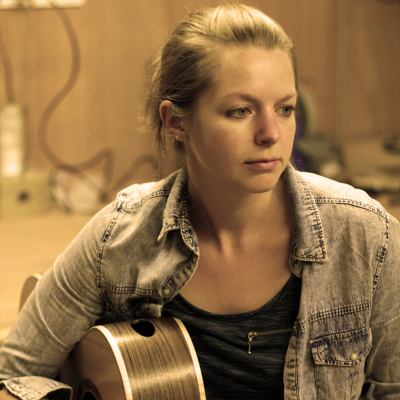 For Rosie, handcrafting highly responsive, beautiful guitars is a labour of love and a true passion. As well as working with exquisite traditional timbers, Rosie also has an interest in English grown timbers and offers an 'E-Series' specification made entirely out of English wood. Creating a guitar with Rosie is a highly personal experience. It is her hope that your bespoke instrument will provide you with years of pleasure and creative inspiration. "A custom handcrafted guitar is something truly special. I spend hundreds of hours handcrafting each guitar to create a beautifully unique, tailored and responsive instrument." For Rosie, our founder, building guitars is a labour of love that has required grit and determination to achieve. After years of tireless training, studying and learning Rosie finally opened Turnstone Guitar Company to share her passion with others. One of our other passions is to educate guitar players about their beloved instruments. From the extraordinary materials and workmanship that goes into making a guitar, through to how best to care for them. We’ve got a great Knowledge hub where we’ve shared some useful information and we're regularly adding to it. Most importantly we want people to really enjoy their guitars by including them in the build process and bringing players together to enjoy their passion. Sometimes the best way to find out ‘about us’ is to visit . You are welcome to arrange an appointment to come to our workshop, meet us and try out some guitars. Turnstone Guitar Company takes its name from the Turnstone bird that visits British shores throughout the year. They can be found scuttling around our beaches turning over stones looking for food - hence the quite literal name bestowed upon them. From fairly indistinct little birds running around the shoreline, when in flight, they show an unexpectedly beautiful pattern across their wingspan. So a hidden beauty that likes to leave no stone unturned.... we thought they were pretty cool and named our company after them.